Last summer my family and I were lucky enough to spend the season out west. We hopped from campground to campground and saw the most amazing sights. During most of the trip we were in the mountains at a higher altitude. Something I learned quickly was that wind, exposure to sun and the lack of humidity in these areas really out your skin quickly. Just a few weeks into our trip, I suddenly found myself with dry, cracked hands. Making a fist even split open the cracks – which was more than a little uncomfortable. Needless to say, I couldn’t deal with it much longer. I sat in a coffee shop in California one morning and started researching the best ways to naturally and quickly heal my dry, cracked hands. Whether you are experiencing dry cracked hands due to altitude, a long winter or just lack of hand care know-how, you’ve come to the right spot! I’ve gathered together some of the best ways for you to heal and prevent your hands from drying up. What Causes Dry Cracked Hands? For people in restaurant or medical occupations, frequent hand washing is often the cause of dry cracked hands. Nurses constantly wash their hands before and after caring for patients. The same goes for bartenders, chefs and servers. Their hands are often exposed to high temperatures and are frequently in contact with water when washing dishes or cleaning food off hands. Even if you don’t wash your hands that frequently, you may be using an abrasive soap or not rinsing thoroughly – causing your skin to dry out. Being in dry climates really affects your hands too. Whether you live in a dry climate full-time or are just visiting, it can take a toll on your skin quite rapidly. High altitudes mean more intense sun exposure – drying out your skin. Later in the article I’ll go into further detail on how to prevent and treat this cause of dry hands. Another reason your hands might be dry is due to frequent chemical use. Do you work in a job that requires you to have your hands near chemicals? Do you spend a lot of time cleaning with abrasive household products? These are all things to think about if you are dealing with dry skin on your hands. If none of the above causes sound like the culprit, it may just be a lack of moisture on the skin of your hands. Don’t worry though; we’ll get you fixed up right away with some all-natural remedies! You’ll want to make sure you aren’t using harsh soaps when you wash your hands. 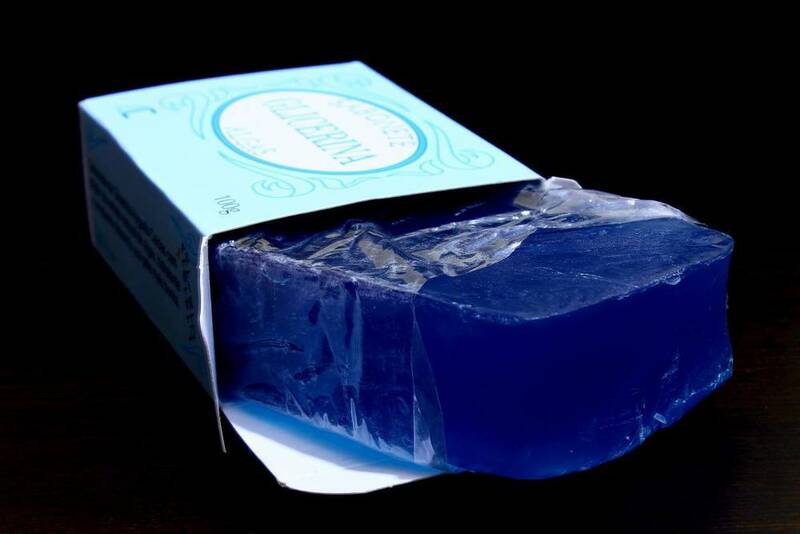 Dr. Bailey, a dermatologist in California, recommends only using extremely mild glycerine bar soaps or liquid soaps with additional glycerine added. 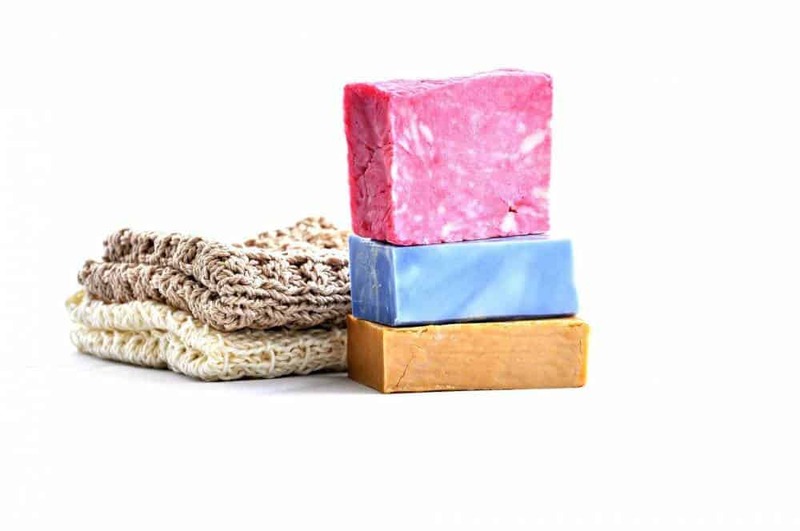 An interesting fact is that the more a soap foams, the more likely it is to be harsh on your skin. Good to know! According to LiveStrong glycerine soaps are great for handwashing and skin care in general because of their all-natural moisturizing properties. They are great for people with sensitive skin and don’t often cause irritation. Glycerine is also a humectant, which means it attracts moisture. If you wash your hands frequently due to your occupation, then it really can’t be avoided. However, wearing heavy duty rubber gloves can help. They protect your hands and creating a barrier between your delicate skin and the harsh external conditions. If you wash your hands frequently out of habit only, you should try to minimize this. Limit handwashing to after-bathroom use, before and after eating and of course any other sticky situations you might get yourself into. Dry hands need constant moisture to heal. Moisturize several times per day – especially after washing your hands or before going out into sunshine or wind. I keep a tube of this intensive hand cream beside the sink to remind me. Something we don’t usually consider when it comes to our hands is sunscreen – it isn’t just for your face! Protect your hands from detrimental sun exposure by liberally applying sunscreen or kill two birds with one stone by using a hand cream with SFP like this one. At night you can use a thicker, stronger moisturizer like petroleum jelly (good old Vaseline) to lock in the moisture all night long. To do this, apply your night cream first, then a layer of petroleum jelly and then put on hand care gloves while you sleep. You’ll lock in moisture all night long. A lot of people don’t realize that the oils you use in your kitchen can also be great for skin care. Coconut oil and olive oil are amazing products for delivering moisture deep into your skin. Take your favourite plant-based oil, drop some on your hands and rub them together for five to ten minutes. You’ll want to keep the oil on your hands for about 20 minutes after that and then rinse with lukewarm water. Repeat daily for maximum benefits. 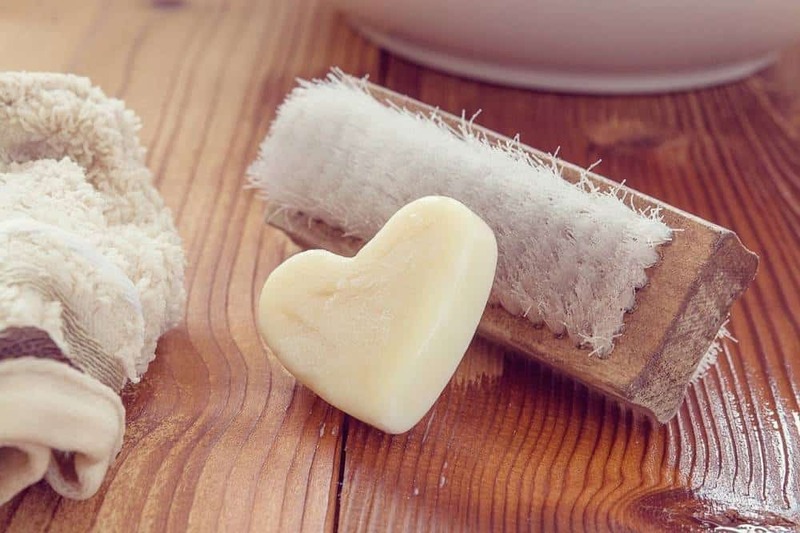 Another item you likely have in your home to treat dry cracked hands is butter. It might sound a bit greasy and messy but it’s the perfect lubricant for dry hands. Simply take some butter or ghee and rub it into your hands for several minutes. 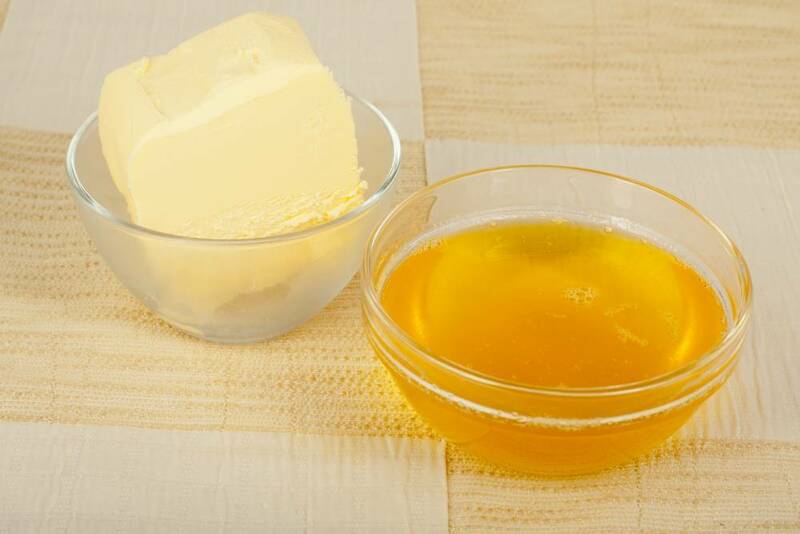 According to Find Home Remedy, ghee will not only moisturize but also provides relief to minor cuts and cracks on your hands. Leave the butter on for about 20 minutes and then rinse with warm water. Repeat this process a few times a day until you notice relief. 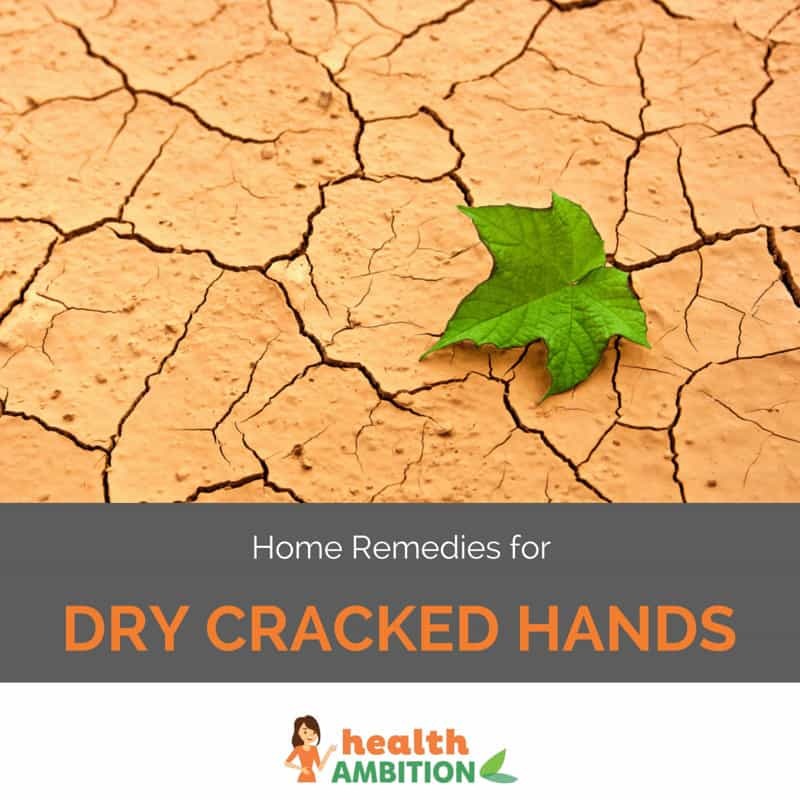 Using these home-based methods for eliminating dry hands can be extremely useful. A mixture of the above can be a great tactic for getting soft skin as soon as possible. Since I love to keep things home-based and all-natural, next I’m going to share how to make your very own homemade hand cream. I love YouTube because it provides endless demonstrations and recipes for your perusal. Want to make a hand cream at home? There’s a video for that! In the following YouTube video a woman shares her grandmother’s recipe for homemade hand cream. Check it out and let me know what you think. To create the cream, simply mix the shea butter, beeswax and sweet almond oil together in a double boiler. The Prairie Homestead suggests using a Pyrex measuring cup and placing it in a pot of simmering water. Stir the mixture as it melts. Once fully melted, remove from heat and leave it sit to cool for about five to ten minutes. Next you’ll want to stir in the essential oils, and pour the liquid into a small glass container. Leave it to harden over the next several hours. If you live in a hot climate, store your mixture in the fridge as it will get runny if it’s too warm. There are literally 100s of recipes all over the internet for home-based lotions and creams. This page alone has links to 50 do-it-yourself, non-toxic lotion recipes. When using coconut oil always keep your homemade lotion at room temperature so the coconut oil doesn’t harden and melt time and time again. You can see the full video demonstration from Mommypotamus here. According to LiveStrong, these ingredients have unique beneficial properties for your skin. Glycerine and shea butter provide deep and lasting moisture deep into the pores of your skin, helping to restore dryness. Aloe has long been used as a treatment and relief tactic for burns. Lanolin soothes skin irritations and can help decrease the pain that comes with dry cracked skin. Petroleum jelly acts as an amazing protective covering that soothes and protects your hands from further damage. It helps your skin avoid environmental damage and retains the moisture already within your hands. With just a quick search on the internet you’ll find tons of over-the-counter options with rave reviews. I even love the hemp-based option suggested in this article from Today.com. Amazon is another great place to find some amazing options for dry hand creams. You’ll find organic, scented, unscented, intensive therapy and more subtle. The options are truly endless. If you’ve gone ahead and tried most or all of the remedies above and are still experiencing dry skin or discomfort, it’s likely time to see your dermatologist. They can take a look at your skin and determine if there is an underlying skin condition like eczema. This condition is most prevalent in people with the occupations we discussed earlier such as hospitality, healthcare or a job involving exposure to cleaning or chemical products. If you think you might be experiencing any symptoms of hand dermatitis, set up an appointment with your doctor in order to get a diagnosis. 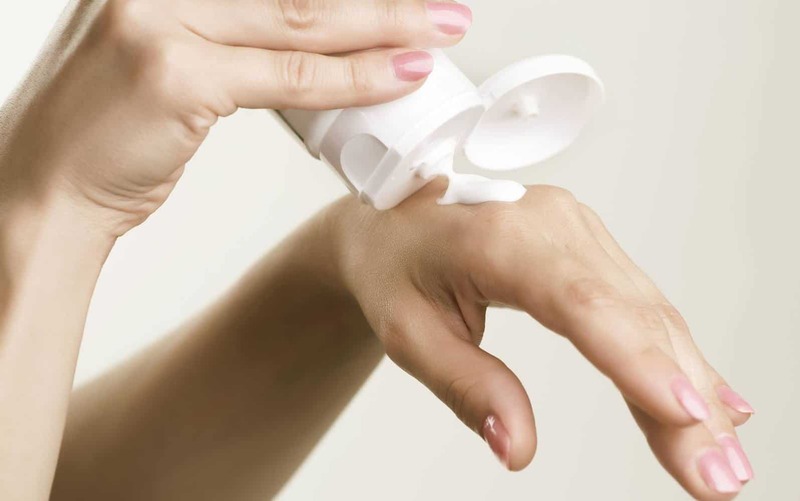 Your dermatologist can prescribe stronger-grade ointments and creams for you. What is your favourite approach? Or will you be like me and try a few? Either way, good luck and let me know how things turn out in the comments below. Thanks again for reading!